A trek to Everest base camp follows in the steps of the great Everest climbing expeditions and gets you as close to the world's highest mountain as possible without the technical scaling of the peak. From Lukla, you head north along the Dudh Kosi Valley to Namche Bazaar (3440m) and onto the monastery at Thyangboche for spectacular views of Everest and the surrounding peaks. From here, you head north to the Khumbu Glacier with a wonderful panorama of the peaks on the Nepal-Tibet border. Trekking across the glacier, you eventually reach Everest Base Camp (5440m), where there are great views of the Khumbu Ice Fall. In spring, there will be the encampments of expeditions aiming to ascend Everest, in autumn the area will be deserted. The views of the Everest peak itself aren't great from base camp so many expeditions include an ascent of the nearby Kala Pattar (5545m), which offers breathtaking views of Everest, Nuptse, Lhotse and numerous other peaks. Everest is more than a mountain and the journey to its base camp is more than just a trek. Along a route dubbed by some as the steps to heaven, every bend in the trail provides another photo opportunity � beautiful forests, Sherpa villages, glacial moraines, and foothills. For active adventurers not afraid to break a sweat, our full trekking support staff will bring you close to local cultures before opening a window to the top of the world. 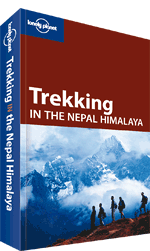 This lodge-based trek follows the legendary 'Everest Trail' from the airstrip at Lukla. Within little more than 2 weeks, this is your chance to visit Everest Basecamp, trek to the exceptional viewpoint of Kala Patar and to experience the wonderful mountain scenery of the Khumbu. A memorable flight from Kathmandu to the airstrip at Lukla provides access to an alpine world where the air is crystal clear and colourful prayer flags flutter from the rooftops. Following the famous 'Everest Trail', we trek to the prosperous village of Namche Bazaar and onwards, alongside the torrential Imja Khola, to the high valley below Everest. During the course of this excellent and relatively easy-paced trek, we visit many delightful Sherpa villages, including the stunningly located Thyangboche with its impressive backdrop of Everest and Ama Dablam. Providing outrageous mountain views and a wonderful insight into the way of life of the hardy Sherpas, this is the perfect trip for a first visit to Nepal and the Himalayas. Our exciting range of multi activity holidays are designed to show off the highlights of the regions they visit, whilst also including a variety of activities. With a choice of activity holidays both in the summer and winter, you will find a whole range of exciting and sometimes adrenalin-fuelled sports and other elements. You can raft, rock climb, horse-ride, cycle, kayak, hike and much more on one of our summer multi-activity holidays. Whilst on a Winter Activity Holiday you can try out cross-country skiing, snowshoeing, dog sledging, ice fishing and even overnight in an igloo! The activities included are aimed to suit everyone from action heroes to complete novices. All equipment and training is provided, so no previous experience is necessarily required. A 'go-for-it' attitude and a reasonable level of fitness are however needed. Wednesday 29th May 2013 is Race Day for the 10th annual Tenzing-Hillary Mount Everest Marathon. Starting at Everest Basecamp (5364m), close beneath the spectacular Khumbu Icefall, this is the highest marathon in the world. First run in 2003 as an event for local runners, the race now has a more international reputation and typically includes runners from a dozen nations. The route leads mostly downhill on rough tracks and trails, through the spectacular homeland of the Sherpa people, to Namche Bazaar (3446m). A sting in the tail, however, is the 500 metre ascent from Phunki Tenga to Kunde, before the final descent into Namche. In 2006, Deepak Rai set the record for the route at 3 hours, 28 minutes and 27 seconds. 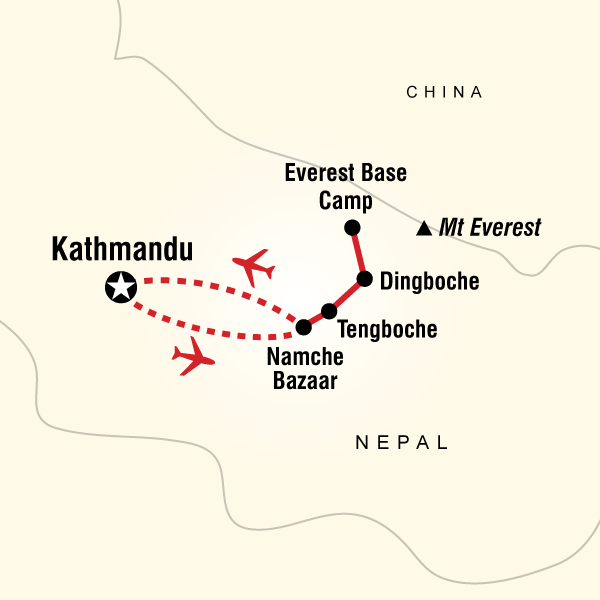 To take part in the race, runners must sign up for this 21-day Mount Everest Marathon package. With 4 nights in the colourful capital city of Kathmandu and a 10-day trek to Everest Basecamp that includes 2 additional days for acclimatisation, this is a fantastic adventure. During the trek, the runners will be accompanied by experienced local guides and a full local support crew, including doctors who will monitor the runners' physical condition. On race day, there will be an official timekeeper, a team of marshals, regular checkpoints and drinks/feeding stations, as well as medical and emergency evacuation support. Although mostly downhill, this is a challenging route, with snow and ice at the highest level and a lot of rocky and exposed sections of trail. The race is only suitable for runners who regularly train or race under cross-country, trail, fell or mountain conditions. Relatives and friends can sign up for the trek and accompany the competitors as non-running group members.